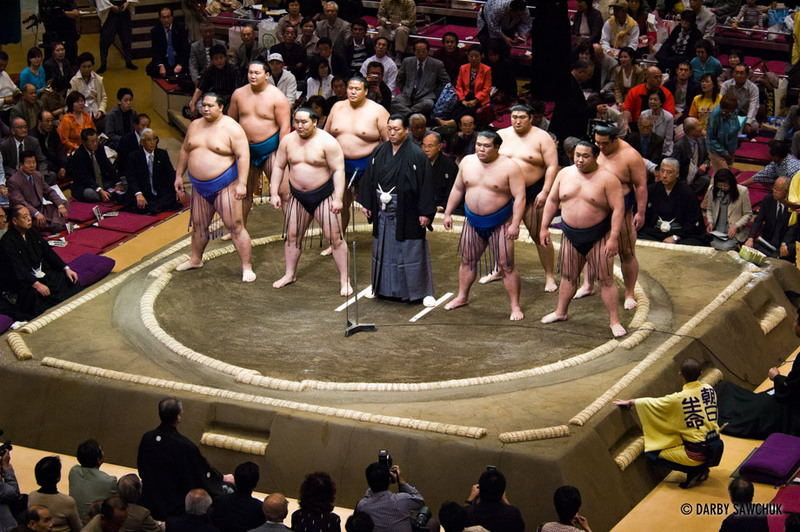 The giants that grapple in Tokyo’s Ryogoku Stadium and other arenas around Japan are anything but gentle. They collide with earth-shaking force and savagely slap at one another to unbalance their opponents. The matches are frequently over in a matter of seconds because when you’re dealing with that much force, something has to give and give quickly. 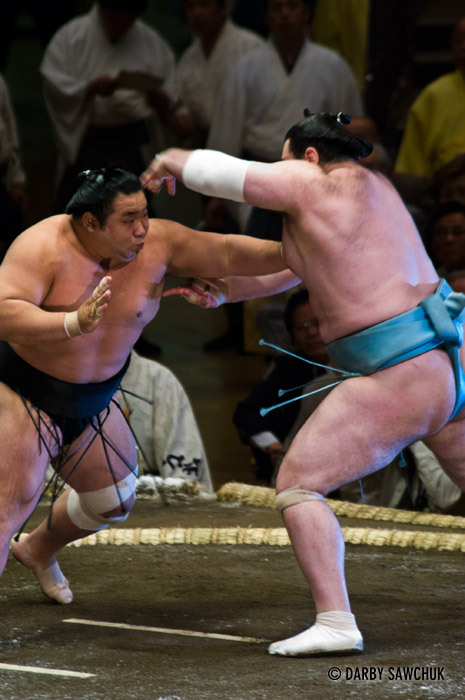 Sometimes, however, the match almost seems secondary to the traditions and rituals that precede each bout and last much longer than the actual combat. Salt tossed into the ring purifies the the area about to be sullied by the wrestlers while exaggerated stomps drive out evil spirits. The sheer size of the wrestlers is almost worth the price of admission on its own, but to see them slam into one another and roll into the lap of a startled Japanese businessman is that much more amazing. 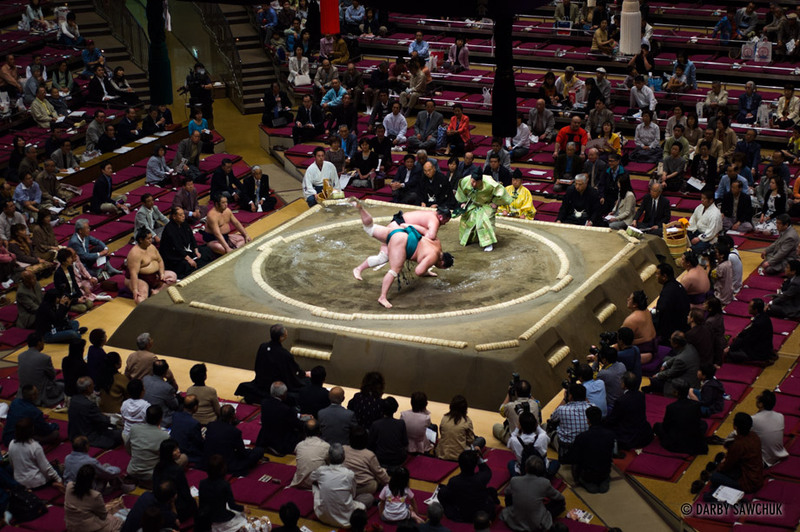 Add to that the glimpse you get into a centuries old Japanese tradition and sumo wrestling is high on the list of events to see in Japan. Click here to see more of my photos from Japan. 01. 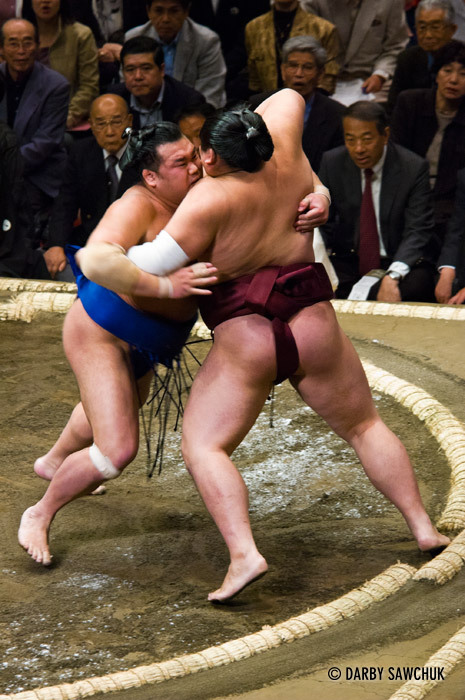 Sumo wrestlers slam into each other at the Ryogoku stadium in Tokyo, Japan. 02. A sumo wrestler is tossed to the ground at the Ryogoku stadium in Tokyo, Japan. 03. 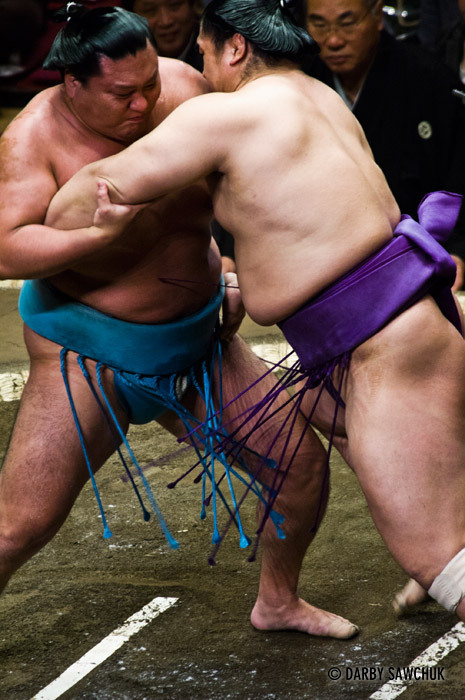 Sumo wrestlers grapple at the Ryogoku stadium in Tokyo, Japan. 04. Sumo wrestlers at the Ryogoku stadium in Tokyo, Japan. 05. 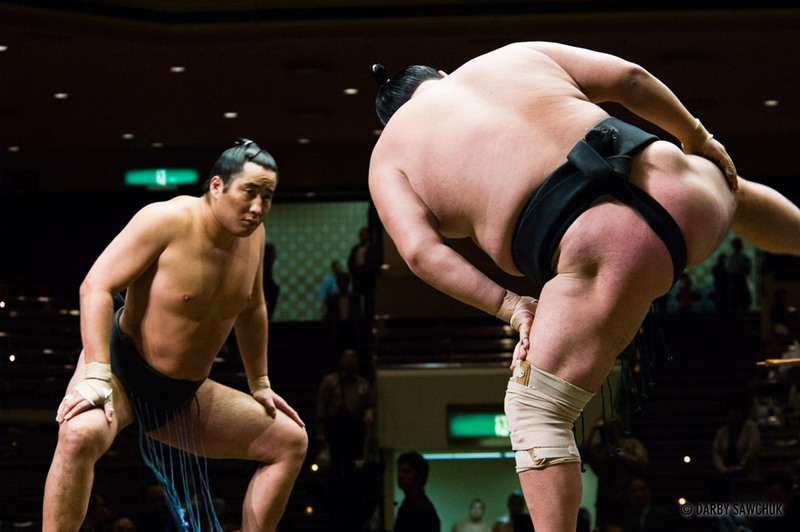 A sumo wrestler at the Ryogoku stadium in Tokyo, Japan. 06. 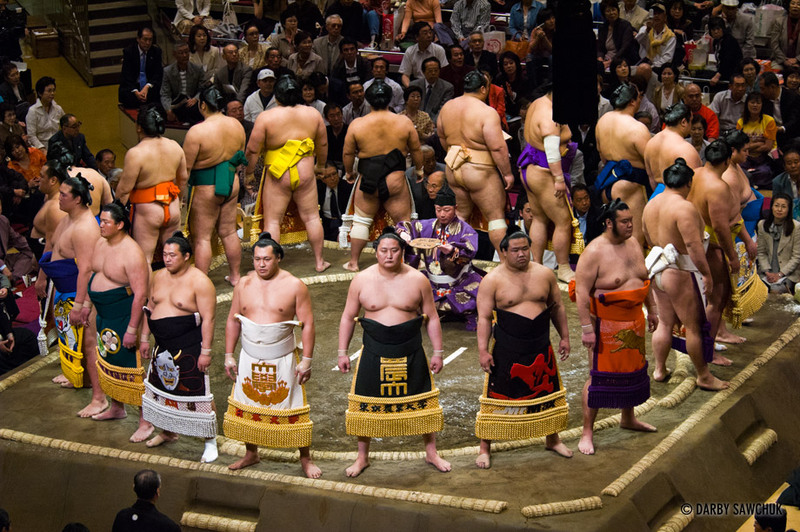 Sumo wrestlers stomp to ward off evil spirits at the Ryogoku stadium in Tokyo, Japan. 07. 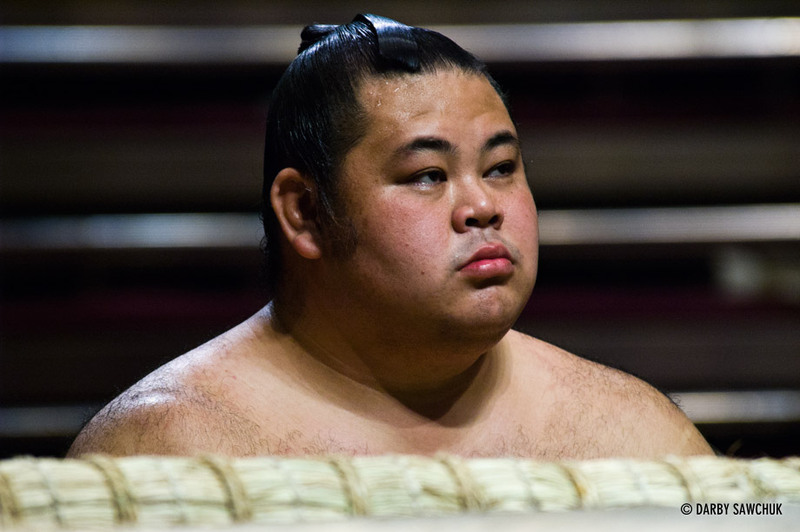 A sumo wrestler at ringside at the Ryogoku stadium in Tokyo, Japan. 08. 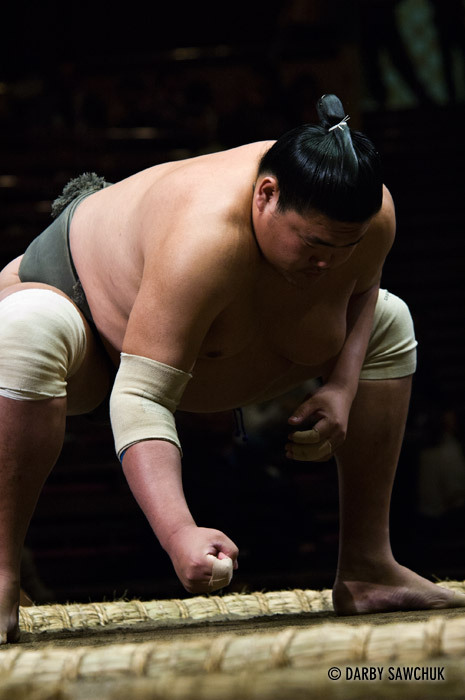 A sumo wrestler prepares for combat at the Ryogoku stadium in Tokyo, Japan. 09. 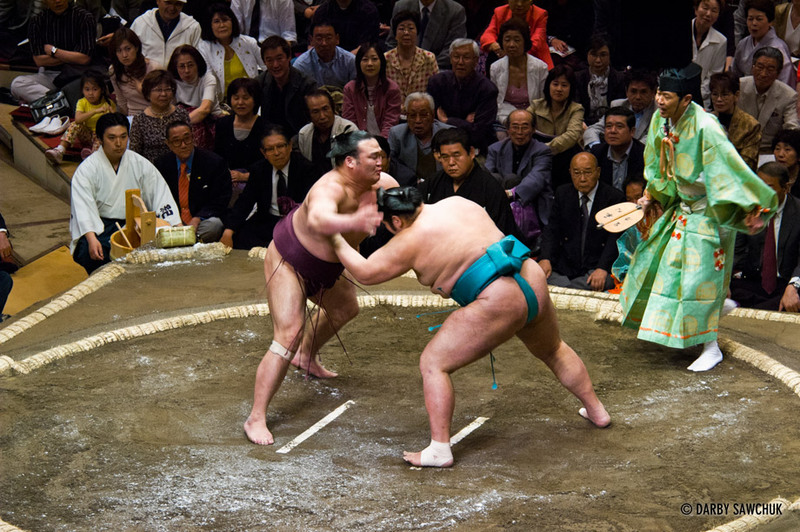 Sumo wrestlers fight at the Ryogoku stadium in Tokyo, Japan. 10. 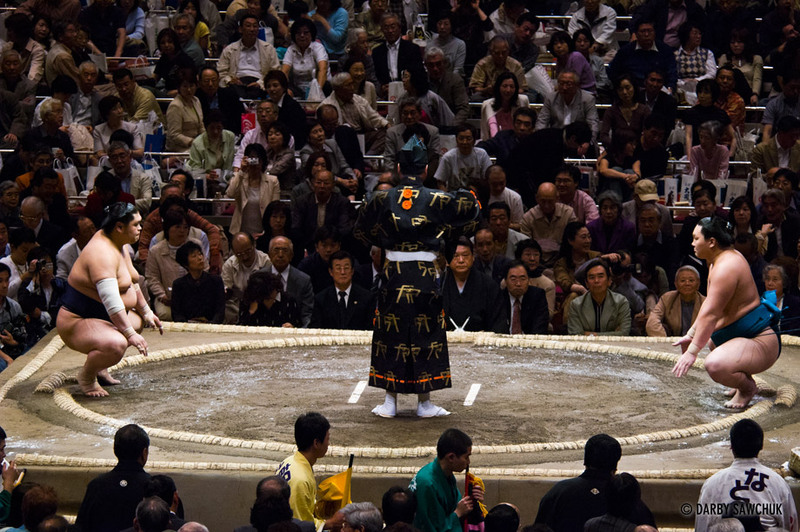 A sumo wrestler at the Ryogoku stadium in Tokyo, Japan. 11. 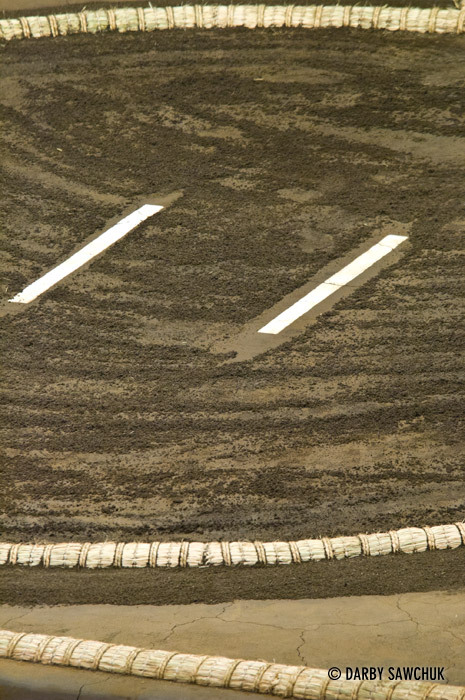 The sumo wrestling ring at the Ryogoku stadium in Tokyo, Japan. 12. 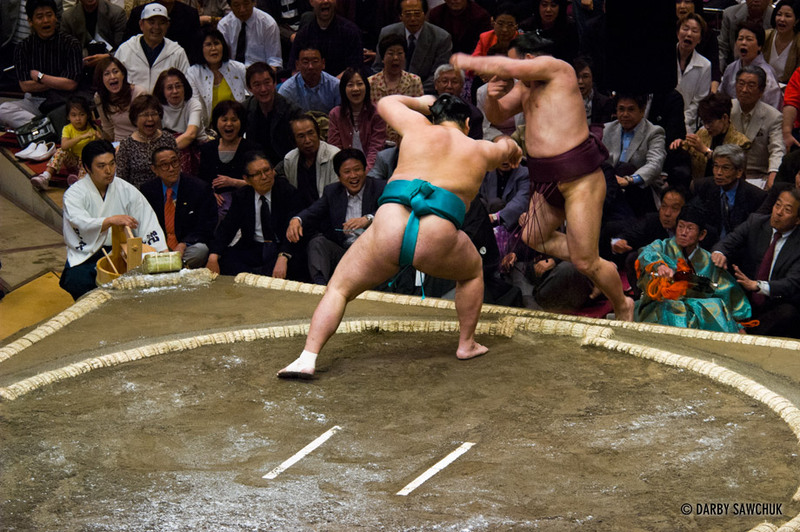 Sumo wrestlers grapple at the Ryogoku stadium in Tokyo, Japan. 13. 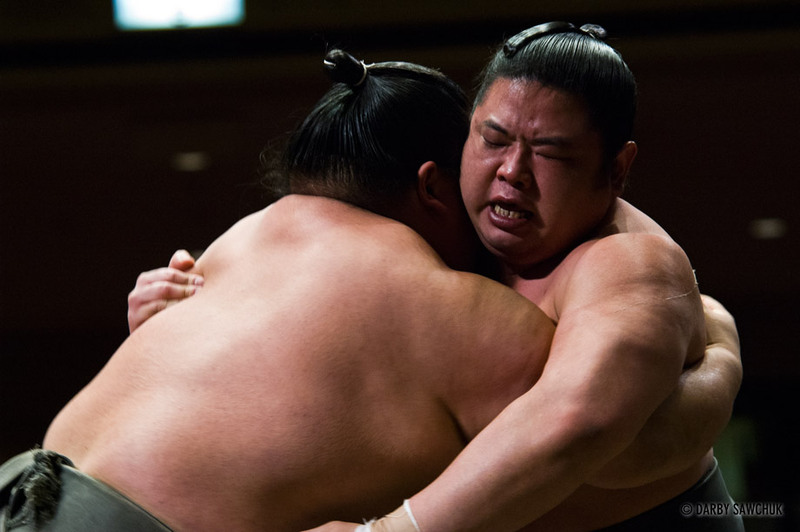 Sumo wrestlers grapple at the Ryogoku stadium in Tokyo, Japan. 14. Sumo wrestlers grapple at the Ryogoku stadium in Tokyo, Japan. 15. Sumo wrestlers at the Ryogoku stadium in Tokyo, Japan. 16. 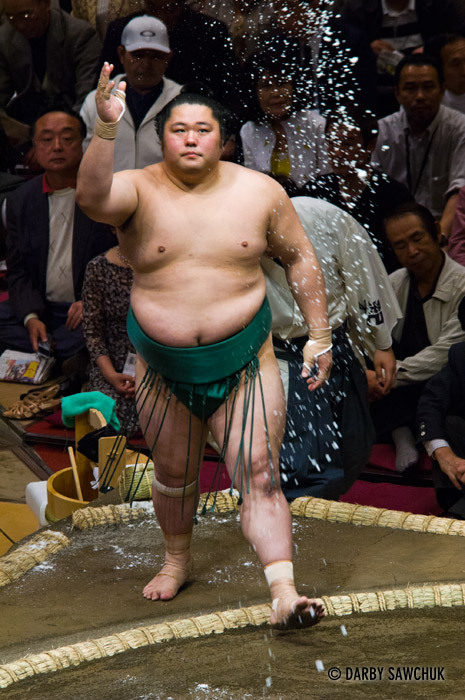 A sumo wrestler tosses salt to purify the ring at the Ryogoku stadium in Tokyo, Japan. 17. A sumo wrestler is tossed into the crowd at the Ryogoku stadium in Tokyo, Japan. 18. Sumo wrestlers at the Ryogoku stadium in Tokyo, Japan. 19. Sumo wrestlers at the Ryogoku stadium in Tokyo, Japan. 20. 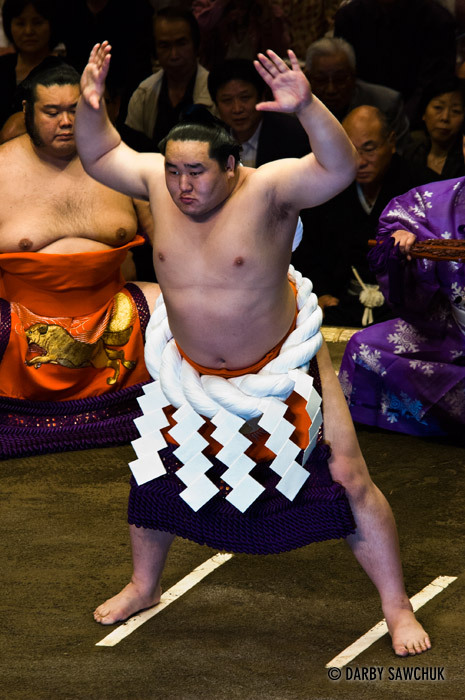 A yokozuna, the highest rank of sumo wrestling wears the symbol of his rank, a rope (tsuna), around his waist at the Ryogoku stadium in Tokyo, Japan. 21. 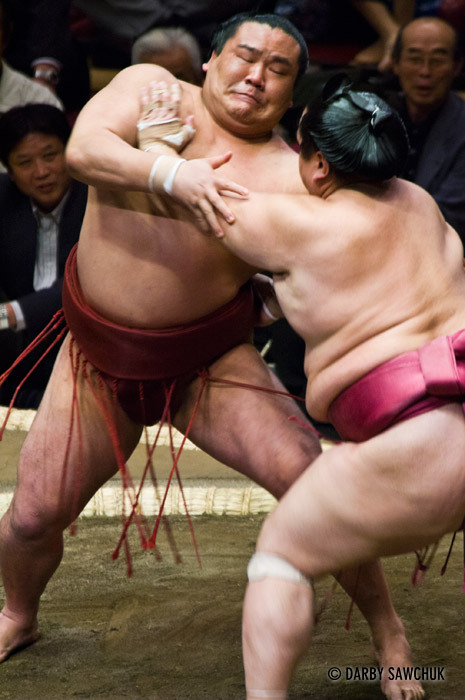 Sumo wrestlers battle at the Ryogoku stadium in Tokyo, Japan. 22. 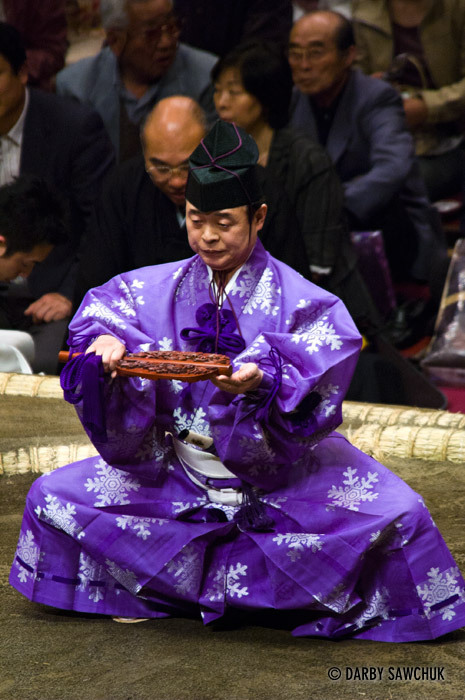 A sumo wrestling referee at the Ryogoku stadium in Tokyo, Japan. 23. A sumo wrestler at the Ryogoku stadium in Tokyo, Japan. 24. 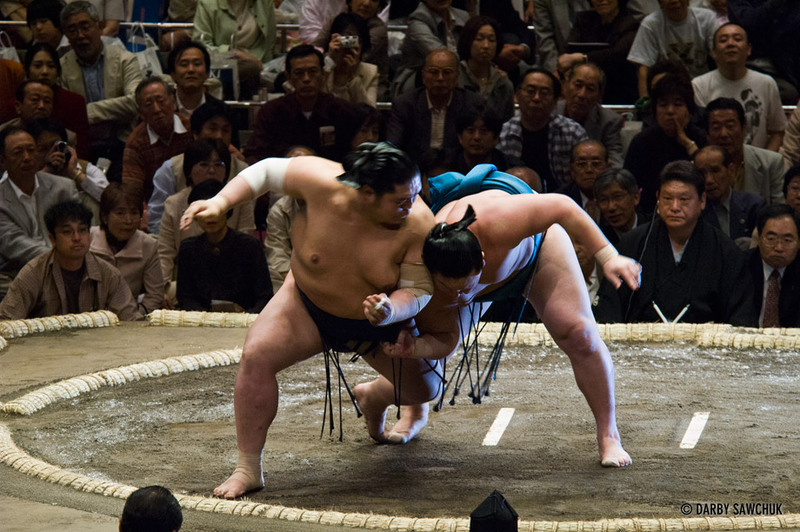 Sumo wrestlers grapple at the Ryogoku stadium in Tokyo, Japan. 25. 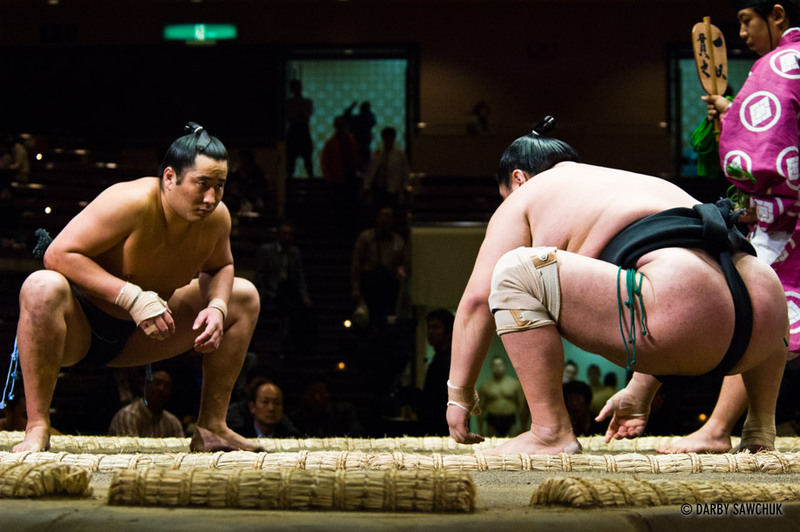 Sumo wrestlers stomp to ward off evil spirits at the Ryogoku stadium in Tokyo, Japan. 26. Sumo wrestlers at the Ryogoku stadium in Tokyo, Japan. 27. Sumo wrestlers grapple at the Ryogoku stadium in Tokyo, Japan. 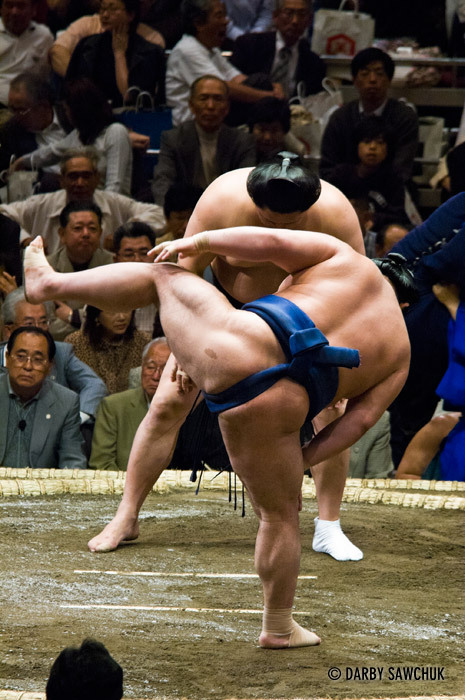 Keywords: photos of sumo wrestling, images of sumo wrestling, pictures of sumo wrestling, travel photography, fine art prints, stock photography, fine art prints, stock photography.